World heritage site, Notre Dame Cathedral in Paris has "burned down" and the iconic spire collapsed. It is considered the finest example of French Gothic architecture in Europe. There are incredible pictures of the spire collapsing. The roof was oak wood from the 13th century. The structure was known as "the forest" because it required a forest of trees to build it. Pictures of it are here on the cathedral website. Important artifacts like the Crown of Thorns and the Tunic of Saint Louis were saved. Other artifacts referenced include a fragment of the "true cross" and one of the nails used by Romans to crucify Christ. French billionaire Francois-Henri Pinault has pledged 100 million euros towards the reconstruction. Another article says France's richest man Bernard Arnault pledged 200 million euros. and a third article says $339 million has been pledged. I expect this is only a portion of what it will take to bring back to use. Experts claim it will take 20 years of work effort. So our worst-case scenario is to have planned a European cathedral trip of a lifetime and today is the day you visit Notre Dame. You might be one of the estimated 13 million visitors a year who are going to be disappointed. "We will now visit ten of the best churches and cathedrals in Europe. Notre Dame, Paris. The Duomo, Florence. The Duomo, Milan. León Cathedral, León. Saint Basil's Cathedral, Moscow. Cologne Cathedral, Cologne. Saint Peter's Basilica, Vatican City. Saint Mary's Basilica, Krakow." 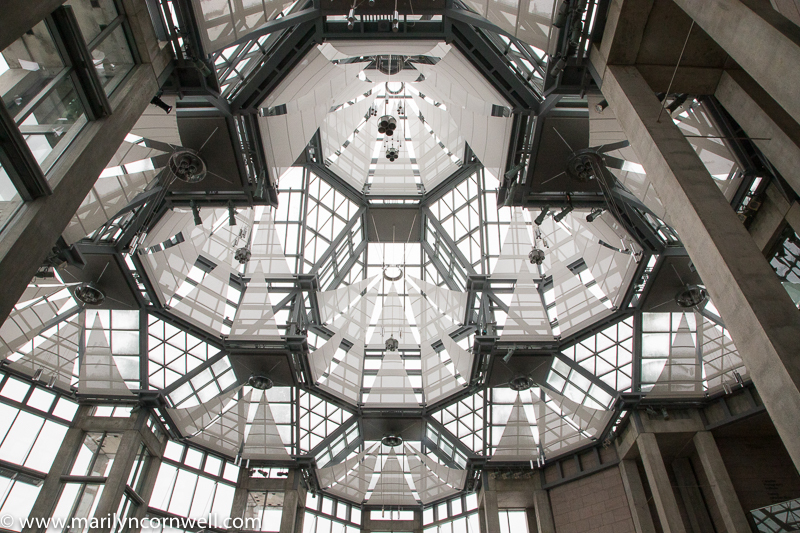 Today we look at the ceiling of the National Art Gallery.